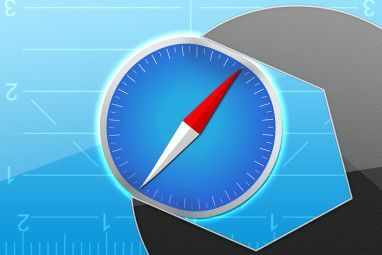 The recent update of Safari 5.0 includes a slew of practical extensions that enable users to add and customize features of Safari. In the first extension update, we covered how to add extensions to Safari. Before we discuss five handy new extensions, here are a few more quick tips for handling Safari extensions in general. You can open Safari’s preferences and simply uninstall or un-enable it. A quicker method for getting rid of extensions all together is to simply right or control-click on the extension’s icon and select Remove Item, which will delete it from the extensions library. You can also re-arrange extensions by ï»¿right or control-clicking on the toolbar and selecting Customize Toolbar. After the window drops down, you can move icons to the left or right of the URL and Search fields. 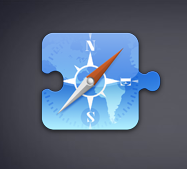 Now let’s turn our attention to an handful of handy new extensions for Safari 5.0.. These extensions can be downloaded from Apple”˜s Safari Extension Library. Clicking the download button for an extension automatically installs it in the Safari extensions library, found in Safari”˜s Preferences. However, in my experience so far, extensions might not always work right out of the box. You may have to quit and restart Safari in order for extensions to kick in. Diggo Inc’s Awesome Screenshot enables you to capture, annotate, and share screenshots from within the browser. It’s somewhat similar to Diggo’s bookmarking and annotation website 7 Reasons Diigo Tastes Better Than Delicious 7 Reasons Diigo Tastes Better Than Delicious Read More and browser plug-in, but with Awesome Screenshot, you can save the screenshots and annotations as PNG files. If you want to annotate and capture parts of a webpage, it seems better to annotate and then crop the section you want to save. If you try to annotate after you make the crop the annotations don’t act right. One unique feature of Awesome Screenshot is that you can select and upload a screenshot to Diigo’s server. 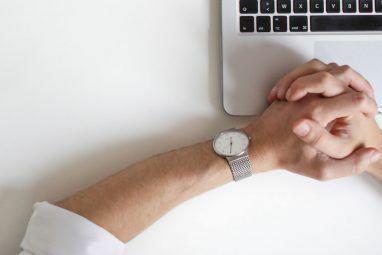 In turn a link will be created so that you can share it on one of numerous web services, including Twitter, Yahoo Mail and Gmail. There are a few disadvantages however to using Awesome Screenshot. When you activate the extension, you must close out the webpage in order to quit the extension for that page. There’s no cancel button to get out of the extension. While there’s an Undo button in the extension”˜s toolbar, you can”˜t select and move around annotations after you use them. So you need to be pretty precise about where you want extensions to be made. Despite these shortcomings, Awesome Screenshot is a useful extension for what it does. A similar extension to Awesome Screenshot is Snapper. It takes a screenshot of only the visible part of a webpage, not the entire page. So you need to re-size your browser window to capture the part that you want. There”˜s no annotation features in Snapper. It creates a JPG file of the capture which can be dragged to your Finder. While Snapper is not feature rich as Awesome Screenshot, it’s quick and doesn’t require you to select and draw a box to make screenshots. If you’re an avid watcher of YouTube videos, you definitely might want to check out A Cleaner YouTube 1.1. 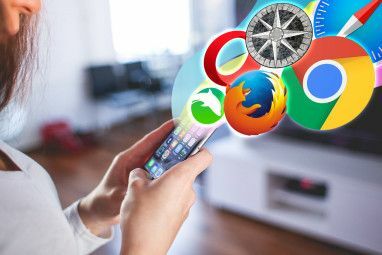 When activated, this extension removes all the typical YouTube distractions so you can focus just on the downloaded video. The only way you can turn it off though is by disabling it in the Extensions preferences of Safari. A similar YouTube extension to the one above is Turn Off the Lights. It allows you to darken an entire webpage – most useful for when you’re watching a video. This extension might be the better of the two because you can activate and deactivate it in the toolbar. And finally there’s YouTubeWide. While there’s nothing unique about watching YouTube videos in wide screen, this little extension automates the the viewing so that every YouTube video watch automatically downloads in wide view. It’s another extension that you enable and disable in Safari Preferences. Well, that’s it for this round of Safari extensions. We’ll be looking for and writing about others that seem unique or handy for users. In the meantime, which ones are your favourites? Einztrigger, thatâ€™s a little harsh assessment. Like I said, I think Safari in many ways fasterâ€”especially in regards to Firefox. I canâ€™t count how many times Firefox has crashed on me, whereas it rarely happens with Safari. I canâ€™t speak for Chrome because I havenâ€™t had a chance to use it yet. But just because you like or prefer a piece of Apple software doesn't mean that makes you an "applewhore." Yeah, I still need to give Chrome a solid try. Iâ€™ve downloaded it but havenâ€™t had the time really check it out. Yeah, I still need to give Chrome a solid try. I’ve downloaded it but haven’t had the time really check it out. I understand what youâ€™re saying, Burke. Iâ€™ve changed browser three different times. But I keep coming back to Safari simply because of the speed. It performs faster for me than Firefox and Opera. I always experience problems with Firefox crashing or having to constantly update it. And Opera seems a little clutter though it does have features I like. In fact, I kinda worry that with all these new extensions for Safari that it too could become cluttered and troublesome. I understand what you’re saying, Burke. I’ve changed browser three different times. But I keep coming back to Safari simply because of the speed. It performs faster for me than Firefox and Opera. I always experience problems with Firefox crashing or having to constantly update it. And Opera seems a little clutter though it does have features I like. In fact, I kinda worry that with all these new extensions for Safari that it too could become cluttered and troublesome. Why on Earth would someone even bother with Safari these days? They are so painfully late to the party with these extensions. It's like buying a model car that just discovered power steering. Einztrigger, that’s a little harsh assessment. Like I said, I think Safari in many ways faster—especially in regards to Firefox. I can’t count how many times Firefox has crashed on me, whereas it rarely happens with Safari. I can’t speak for Chrome because I haven’t had a chance to use it yet. But just because you like or prefer a piece of Apple software doesn't mean that makes you an "applewhore." Maybe late(r), but Extensions work better: can add Extensions without restarting browser, can disable any/all Extensions without restarting, can remove Extensions without restarting. Extensions have already surpassed FireFox Add-ons. So maybe not first at first, but Safari is much faster, can add/disable/remove Extensions all without having to restart. The way I see, Safari has power steering, but can also parallel park itself. Firefox has a long way to go to catch up.